2014 has been a great year, with some great products. Not all are award winners. 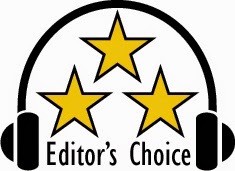 Our awards comprise of Value, Recommended, Highly Recommended, and our highest one being the Editor's Choice Award. This is to honor the best that has come across my desk this year in 2014. Here are the recipients of this years 2014 Editor's Choice Awards, along with links to the review. 2014 has been a great year. I love seeing great products come together with the realization of what the manufacturer envisioned come together and end up in reality being a great product. Thanks goes to the manufacturers for making these great products, and thanks also to all our readers. I look forward to 2015, and seeing more great products. Here's to what 2015 has to bring, and a Happy New Year to all!